Twin Cities Car Service takes pleasure in escorting you to your prom night celebration. A limo adds a special touch to your prom night celebration and will make your journey full of excitement. However, to enjoy the finest ground transportation, you need to make sure you’ve booked a trustworthy limo service Minneapolis company. 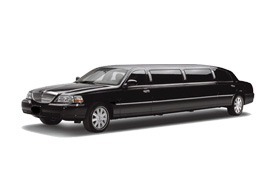 Twin Cities Prom Limousine can put your entire trip on the new level of fun and comfort. An exclusive and luxury vehicle and a fun-loving but experienced driver will allow for you to have an unforgettable prom limo experience while staying safe and arriving on time and in style. We will provide you a first-class Minneapolis limo service vehicle at the given time, with our chauffeur arriving a little bit earlier so he or she can reassure your parents of your safety and well-being during your journey. It goes without saying that we will require you to follow our company rules for your utmost safety and comfort. Once we have agreed, your party may begin the moment you enter your own personalized, full-service, stunning-looking, high-tech amenities-packed professionally chauffeured prom party limo. If you choose a company that only offers drop-off and pick-up service, this is exactly what you are going to get – just the basics. Twin Cities Car Service has extensive expertise of prom nights and we will make certain to cater all your fun and entertainment plans, and limo service Minneapolis needs. What differentiates Twin Cities Prom Limo from other limo companies is the fact that we provide a real party atmosphere for the travelers. When your parents make your bookings, they can add special requests regarding music, soft-drinks and decorations. We happily welcome all of your requests! For a seamless Prom limo service Minneapolis experience, you need to set your mood for the party! Our drivers will take you to the venue at the right time in full safety in a glamorous stretch limo or a stretch hummer limo. Twin Cities Car Service drivers are experts in ground transportation and are quite familiar with the Minneapolis area, picking up all your friends from their homes on time and without any inconvenience. With years of practice, Twin Cities Car Service offers a quality Minneapolis prom limousine experience to its customers. Known for our attentive services and the fun-driven attitude, we wish you an unforgettable night!